If your car has problems shifting gears, bring it to Better Transmission, the most trusted and cost-effective transmission shop in San Antonio TX. Here you will find competitive prices on any type of transmission repair you require. From minor maintenance work to complete transmission replacement, our technicians do it all. We also offer great deals on our transmission fleet service to businesses that have multiple vehicles in need of regular maintenance and repair work. Our transmission mechanic specialists provide the best value on auto repairs anywhere in San Antonio, Helotes, Leon Valley, and Balcones Heights, Texas. Your car's transmission is just as important as any other component in the vehicle. When the transmission is shot, you simply cannot drive. 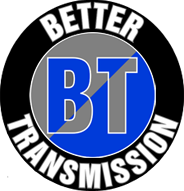 At Better Transmission, we understand how important it is to have a reliable vehicle to get you from place to place. That is why we maintain a no-nonsense transmission repair shop to fix your transmission problems quickly and correctly, so you can get back on the road as soon as possible. 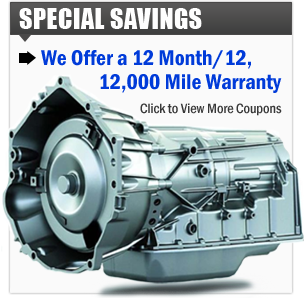 In addition to fast and dependable service, we boast lower rates than any other transmission shop in San Antonio TX. We offer free computer diagnostics, leak detection, external transmission checks, and road testing. This allows us to diagnose your transmission problem, perform the necessary repairs, and ensure the vehicle is running properly while saving you time and money. As part of our commitment to complete customer satisfaction, we provide a 5% discount for all seniors, military and government personnel, USAA® members, students, and city employees. As a small, local transmission repair shop, we understand the importance of excellent customer service. Customers come to us because they know we treat people with respect and are always upfront and honest about auto repairs. Our commitment to being respectful and helpful to everyone who comes into our transmission shop is not only good for business, but is also a part of our staff members' personal beliefs. One way we maintain customer satisfaction is our quick turnaround time. Our transmission mechanic specialists can usually complete any type of transmission work within two days. We also guarantee all of our work with a one-year warranty. Contact us today to discuss the type of work you need at our transmission shop. We proudly serve San Antonio, Helotes, Leon Valley, and Balcones Heights, Texas.